Welcome to the Installation and Management of Roadside Turfgrasses online course. This course provides a series of lessons on salt-tolerant turfgrasses and low-input turfgrass management for contractors, maintenance operators, and engineers seeking knowledge about roadside turfgrass installation and management. The program is essential for contractors looking to establish salt-tolerant roadside grasses, applicable to any northern U.S. climate. This self-paced training is offered via the course management system, Canvas. Students are required to complete the course within one year of their registration. Participants who complete the entire course will receive 3.0 Continuing Education Units (CEUs). One CEU is defined as 10 contact hours of participation in an organized continuing education program. A CEU certificate will be sent to each participant after the conference. A permanent record of CEUs earned will be maintained by the University of Minnesota Office of Admissions and Records Transcript Office. Students who successfully complete this course will earn 1.0 Roads Scholar credit. When registering, to ensure you promptly receive the credit, indicate on your registration form that you would like to receive the Roads Scholar Credit. To learn more about the Roads Scholar Program visit the Minnesota LTAP website. Because it's built using web standards, Canvas runs on Windows, Mac, Linux, iOS, Android, or any other device with a modern web browser. Find out what browsers work best for this course (Chrome, Firefox, Safari, Internet Explorer). Upon completing your online registration, you will receive an e-mail confirmation of your registration. To access the course, please visit canvas.umn.edu and login with your University of Minnesota internet ID and password. Once you have been enrolled, your course will appear on your Canvas Dashboard. If for any reason you do not have access to the course after enrolling, please contact ccapsonline@umn.edu for prompt assistance. How do I use the Canvas App on my Android Device? How do I use the Canvas app on my IOS device? Depending on your device, not all features of this Canvas course may be available on the app at this time. View Canvas mobile features (Links to an external site.) Links to an external site. by version and device. 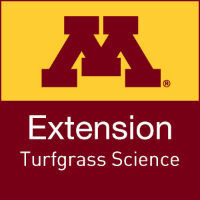 This course was developed by Extension Turfgrass Science at the University of Minnesota, with financial support from the Minnesota Department of Transportation and the Local Road Research Board under project title, “Expanding the Success of Salt-Tolerant Roadside Turfgrasses through Innovation and Education."